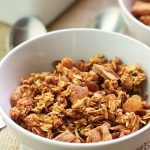 Pumpkin Apple Cinnamon Granola-Crunchy and delicious flavors of fall, sweetened with maple syrup and packed with nutritious goodness. I’m so bummed, it still doesn’t feel like fall with temps in the 90’s, but I’m not gonna let that stop me from enjoying the flavors of fall. 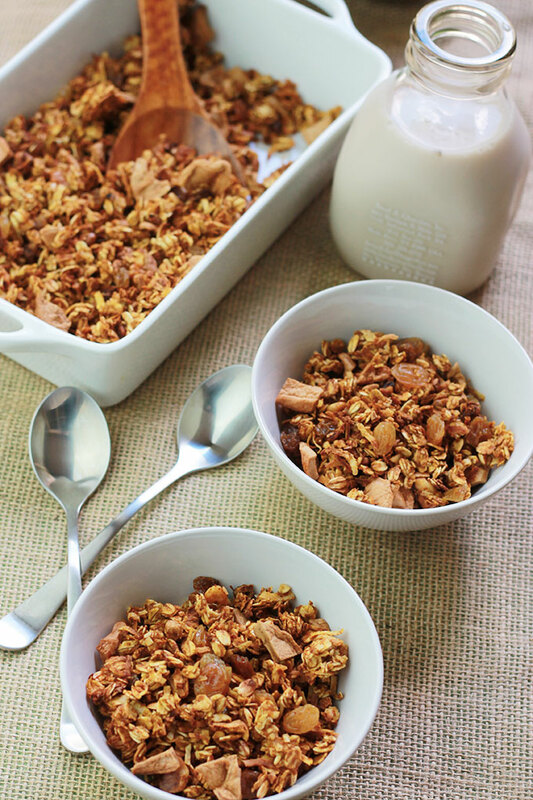 Apples and pumpkins are two of my favorites right now and I put both of them in this super delicious Pumpkin Apple Cinnamon Granola recipe. 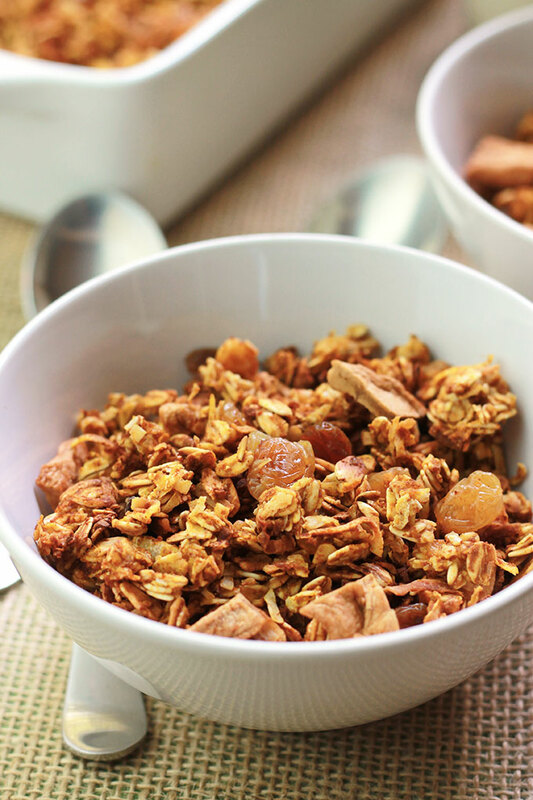 I became obsessed with granola when I was in high school and all through college, it was my go-to snack during long hours of studying. 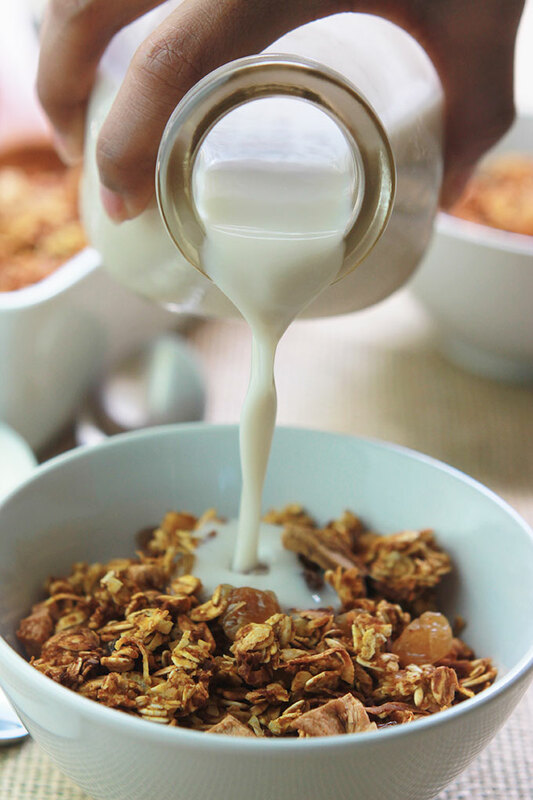 It can be eaten so many ways, straight from the container, as a cereal with milk, over yogurt, ice cream or over fruit. Before a workout, after a workout, it’s the perfect energy food. 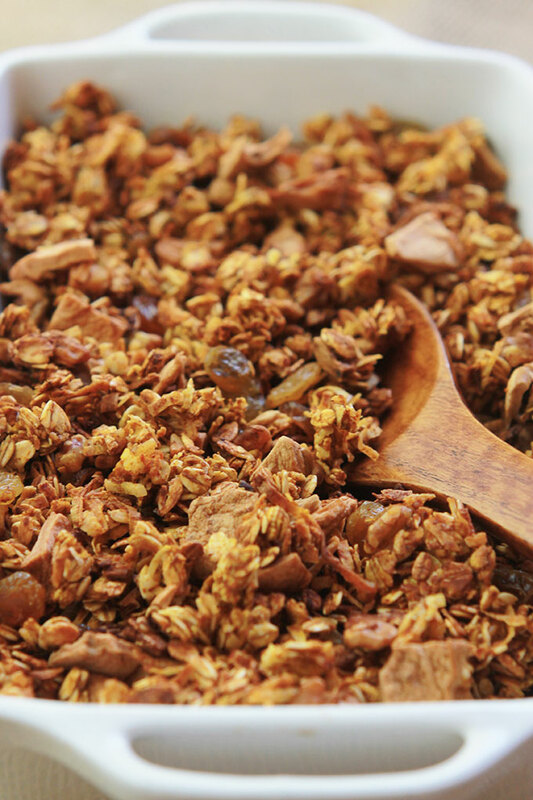 I love that granola can be personalized to your own individual taste and I was craving for that fall feeling, I chose dried apples, walnuts, white raisins and my favorite pumpkin, with those warm pumpkin pie spices. Unfortunately it still feels like summer where I live. The local weather man predicts cooler temperatures for the weekend, but only in the 70’s. I’m ready for it to be in the 50’s and 60’s, that’s when it really feels like fall and I can pull out my boots. 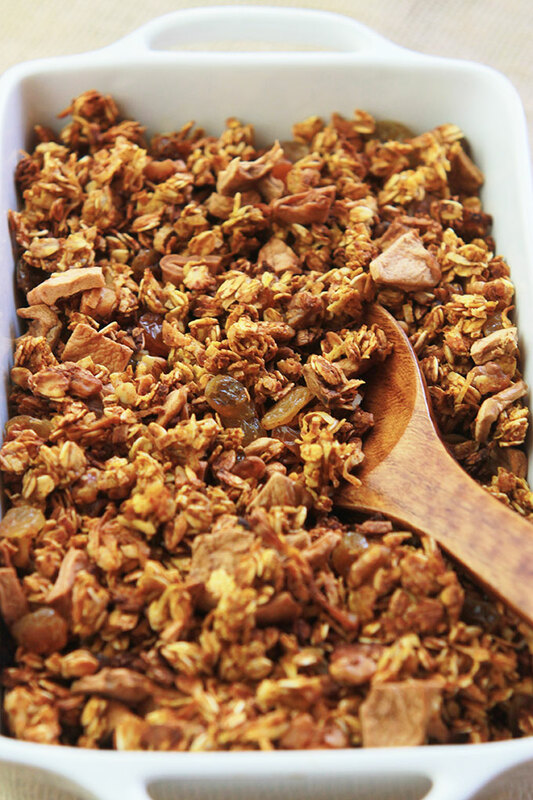 So it may not feel like fall, but it’s tasting like fall with this tasty and addicting Pumpkin Apple Cinnamon Granola. The smell of pumpkin throughout the house is so wonderful, puts everyone in the fall mood. 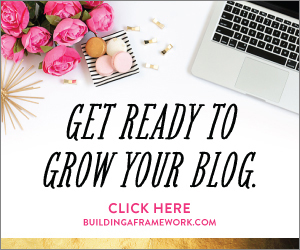 If you make this recipe or a version of it, take a picture and share with me on Instagram, tag it #thewholeserving or leave a comment below. 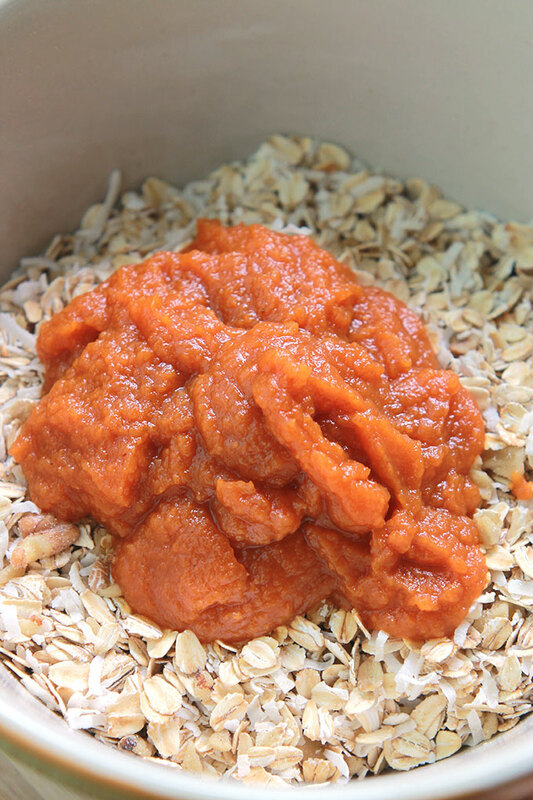 I’d love to see or hear about your version of Pumpkin Apple Cinnamon Granola. Its look so yummy & healthy too. I like to eat the pumpkin seeds. 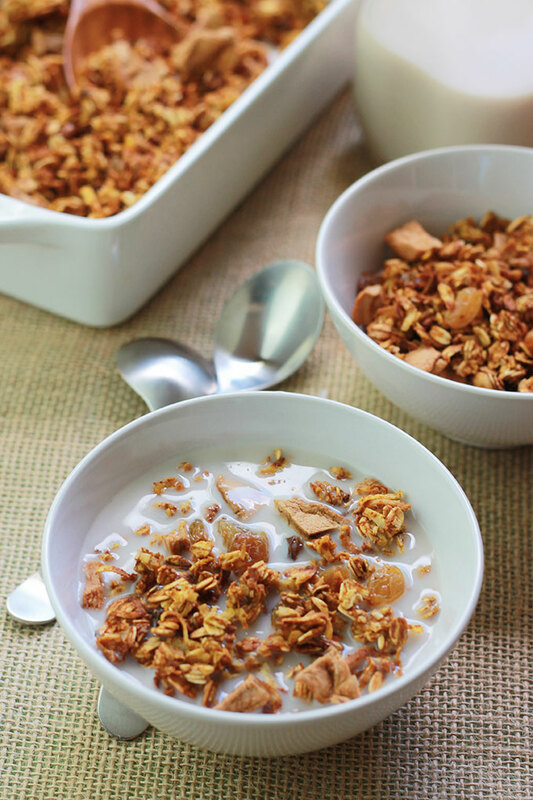 So I really love your cinnamon granola. But I need to know that, how to separate the seeds from these vetch? I like to buy my pumpkin seeds in the bulk section from Whole Foods of Sprouts. But if you want you and use fresh, you’ll have to rinse them clean before using. 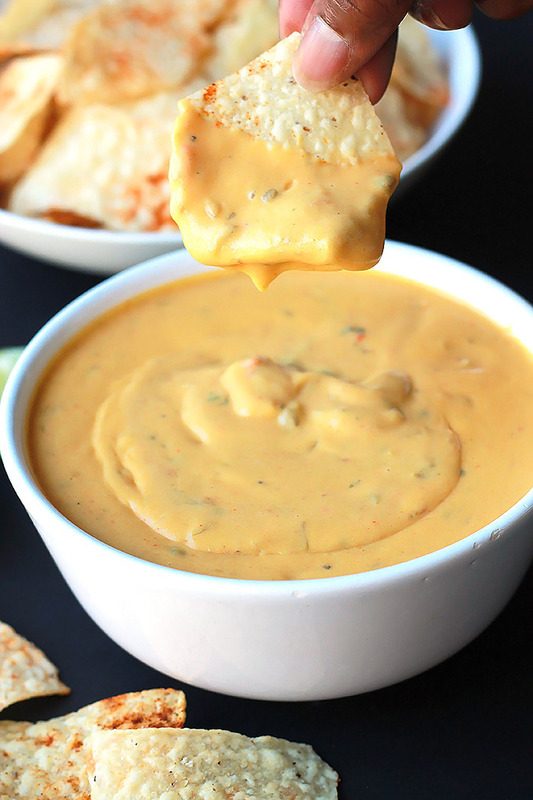 It is so tasty and perfect for fall, I just wish it felt more like fall here in Texas.